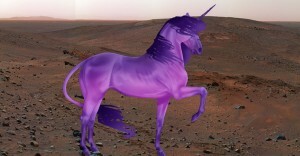 Exclusive: Purple Unicorns Discovered on Mars! Surprisingly clear image of the alleged Purple Unicorn on Mars may be from the NASA rover. Well, we’re not really sure, but it would appear that Purple Unicorns have been discovered on Mars. Or at least, we think it’s possible that they have to exist up there, right? That’s basically the line of argument former NSA head Keith Alexander made in a Bloomberg News interview about Edward Snowden on Tuesday. “Well, I think he’s working for them. I wouldn’t go so far as to say a double agent but he’s working for someone,” Alexander, who resigned in the wake of Snowden’s revelations of massive government surveillance, said on Bloomberg TV. Alexander also said earlier he didn’t believe Snowden got out of the Moscow’s Sheremetyevo airport without making an agreement with Russian intelligence services. The short clip can be seen on Buzzfeed’s site. Indeed, something’s not right. 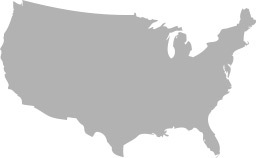 That something would be the once-esteemed 4th Estate, crouched down, subserviently licking the hand that feeds them. The Founders would be appalled by the current state of affairs in 21st Century America.